Lancaster County and the Commonwealth of Pennsylvania offer a wide range of training resources for your employees – including classroom style, online, and on-the-job training. 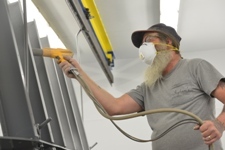 Lancaster County provides a variety of workforce development programs through its strategic partners, including higher education institutions and small business resource organizations. The Lancaster Chamber of Commerce & Industry is a dynamic membership organization rich in history and comprised of 2,200 community-minded businesses. The Chamber boasts an impressive menu of services aimed at helping business leaders and professionals connect, learn, and grow. 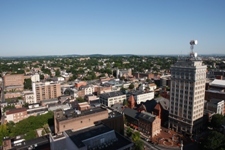 Lancaster City Alliance helps align economic-development and community organizations – jointly identifying key initiatives, linking stakeholders, allocating resources, acting as a catalyst – to produce extraordinary outcomes for the future benefit and utility of the City. Ben Franklin Technology Partners is a technology-based economic development program, providing both early-stage and established companies with funding, business and technical expertise and access to a network of innovative, expert resources. The Duke Street Business Center is a one-stop source for authoritative and up-to-date business and nonprofit information, providing access to licensed databases, specialized websites, reference books, and periodicals. A volunteer organization staffed by experienced business professionals who provide free, confidential business advice to entrepreneurs.